How to Dance to the Song "Stayin' Alive"
As the music starts, stand in place and lightly tap your toe. Begin to move your hips and get used to having your hands balled into fists up around your torso where they will move like you're running. When the lyrics start, walk with rhythm forth and back and side to side. Use your hips liberally. And don't walk like a typical "here to there" walk. You're strutting your stuff. You're the man! Of the next chorus, stand still relax your hips and move your arms up and down. One arm first points at the sun and then conversely points to Hades. Basically, your hands go up and down, with your fingers pointing up or down in a V accoss your body. 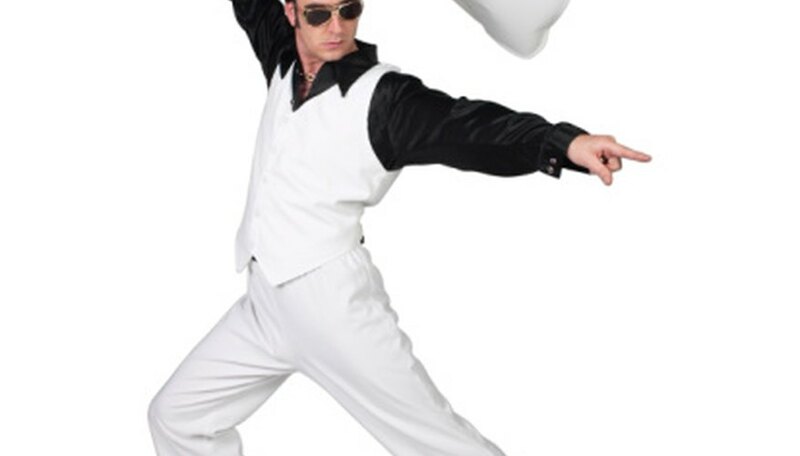 Liberally use the rocking runner style dance as you see Travolta do in Saturday Night Fever. Hold your hand like you're going to run a marathon and then lightly jog with rhythm for a few beats. Finally, walk forward and backward with a dramatic body twist. This means strutting forward with your hips moving; make a dramatic, exaggerated turn like a model and march back. Do the same towards the back and each side.